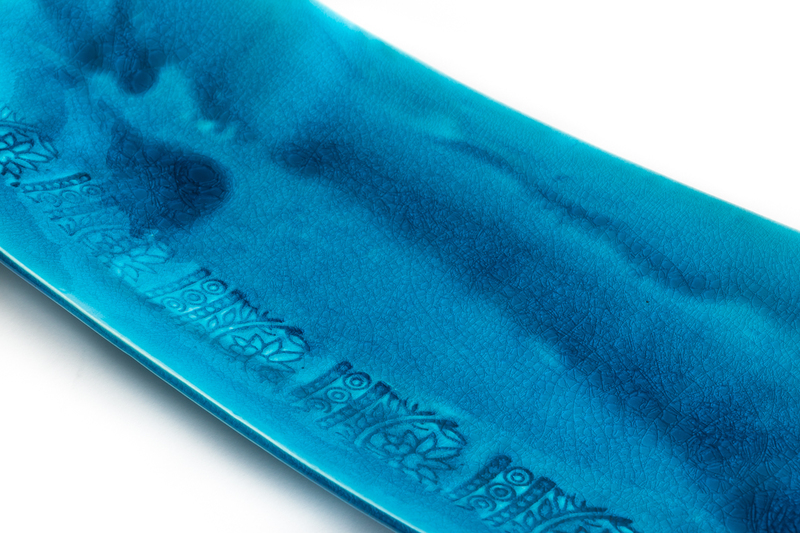 This glazed ceramic tray features a dynamic rectangular shape. 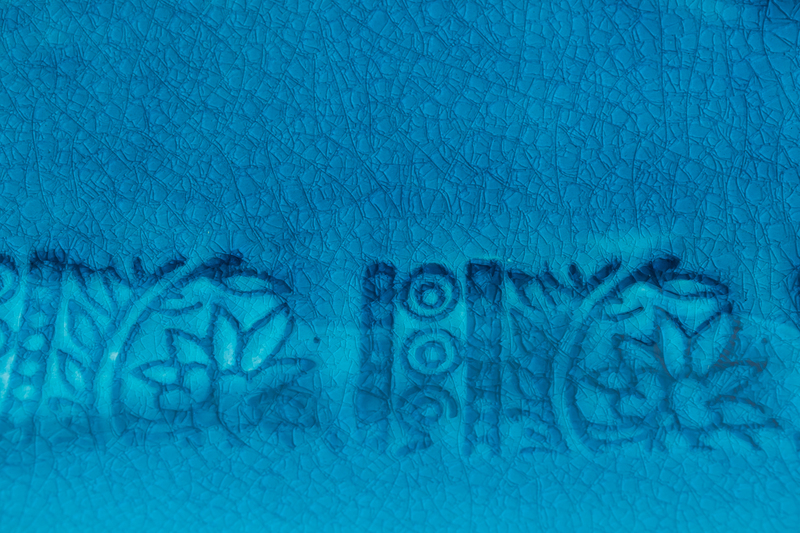 Hand-made and decorated, the object is characterized by a decorative visual profile crafted on a white clay "pintadera", the traditional bread mold featuring stylised decorative motifs. 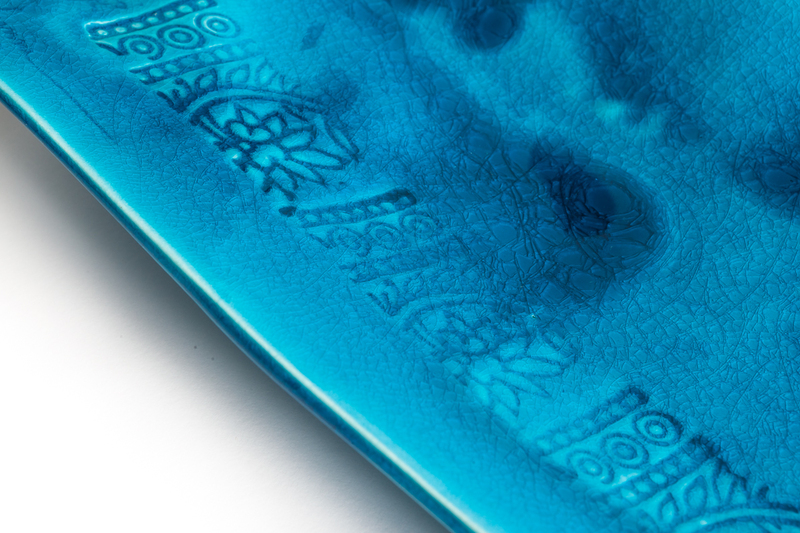 The vibrantly brushed turquoise glaze is a typical trait of this potter.